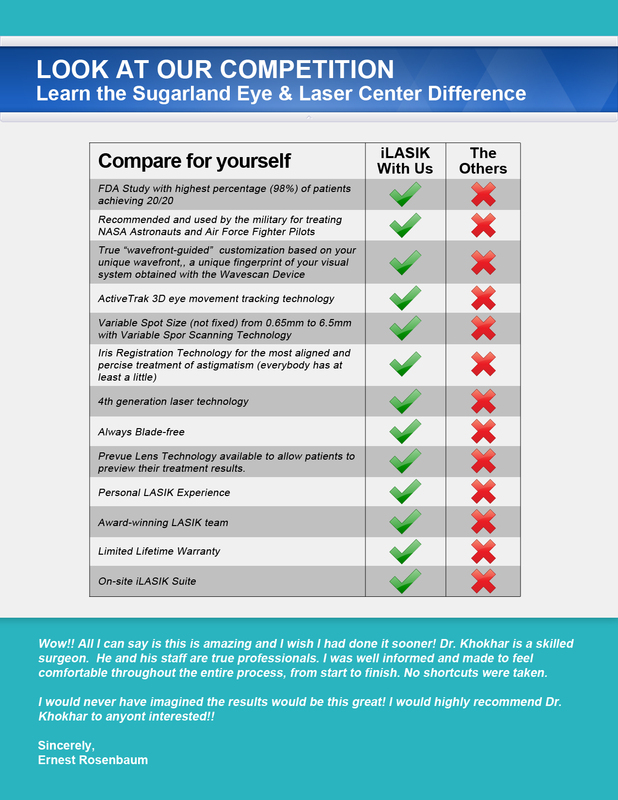 We are proud to be offering this advanced LASIK technology. We know you have many options when it comes to laser vision correction. The chart below shows what sets us apart from a group we call “The Others,” those who don’t offer iLASIK technology and our exceptional quality of care. The amazing numbers below are published in CustomVue™ Patient Information Booklet 0030-4129B. Come see us for a complimentary consultation where we will be happy to provide you a copy.